It’s been a while I worked on SharePoint List(s) which is still my area of interests. 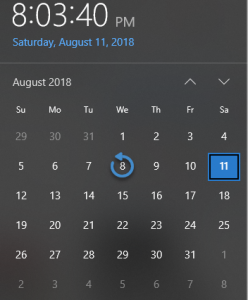 In this blog post I would like to share few tips to work with date and time for a requirement. Where [Created] is list item Created At value – You can very well do for any custom field like any Date and Time type. Now, in PowerShell I can achieve the same by using the below PowerShell snippet! For a given SharePoint list define the Week Start and Week End – Ignore the settings of the Site! We aren’t discussing about SP admin content. For now we are all just a power users. Define a custom view (I will cover this in my next blog post).